Along with congestion, runny nose, coughing, sneezing, headaches and difficulty breathing, individuals with allergies often suffer from eye allergies or allergic conjunctivitis resulting in red, watery, itchy and sometimes swollen eyes. Just as irritants cause an allergic response in your nasal and respiratory system, your eyes also react with an oversensitive immune response, triggered by an environmental substance that most people’s immune systems ignore. Most individuals with allergies also suffer from eye allergies which affect millions of North Americans, particularly with seasonal allergic conjunctivitis (SAC) which is common during the spring, summer, and fall. Q. 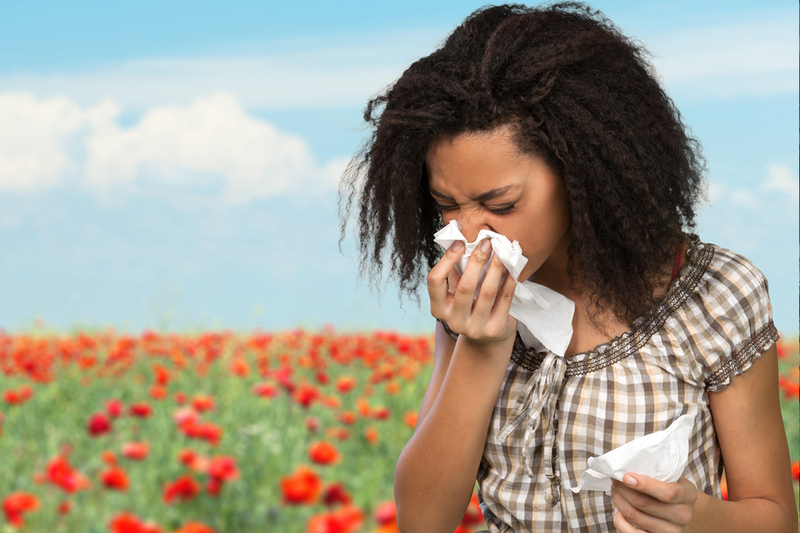 What are common symptoms of allergies? 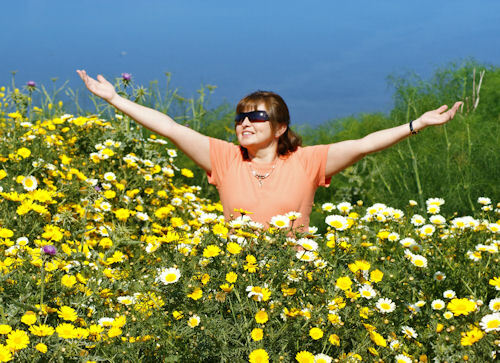 Red eyes, teary eyes, sneezing, all signs of seasonal allergies. Watery eyes with clear watery discharge combined with redness and itching. Without treatment, these symptoms can last all day & even through the entire pollen season. Some get bothered in Spring and others in Winter. Even cutting the lawn or at a baseball field can bother people. Pink eye is a general term for an eye that is red and can be due to 3 causes: 1) Allergy. 2) Virus or cold. 3) Bacterial infection. Allergic Conjunctivitis is a more specific term of a type of pink eye. Describes appearance but not the issue. Pink eye isn't exactly contagious from allergies, but viral or bacterial could be. Allergy is a reaction to a foreign substance that the body rejects, and conjunctivitis can be broken down between "itis" that describes inflammation & "conjunctiva" is the covering over the white part of the eye. Sneezing & headaches from allergies can be treated with standard antihistamine medication - usually in the form of a pill. As far as the eye, allergies require prescription eye drops and are very effective, where you only need a drop once or twice a day. Allergic conjunctivitis or seasonal allergies can make contact lenses uncomfortable to wear. But, with these drops, you can continue to wear contact lenses provided you follow proper instruction by your eye doctor. Contrary to regular eye drops / over the counter that is often less effective. It's advised to check with your optometrist on the best way to use prescription eye drops. Want Releif from Itchy, Watery Eyes? Book and Appointment for Eye Allergies with Our Levittown Optometrist Today!